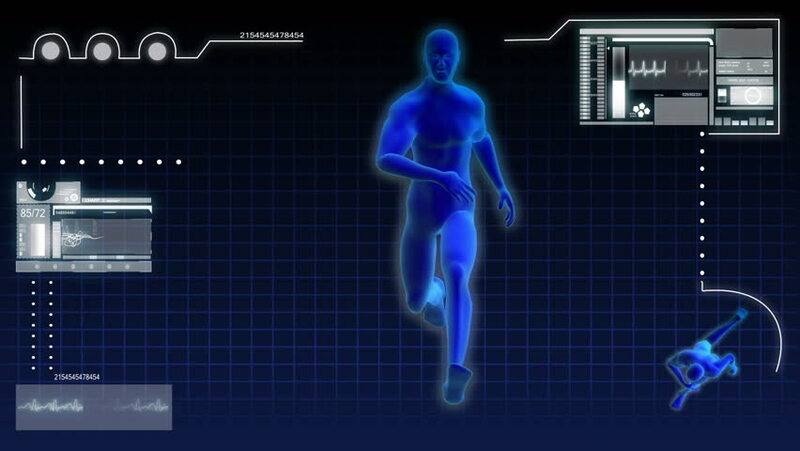 hd00:29Wire frame man jogging with after effects window. Wide shot. hd00:22Scanning rotating 3D robot body in digital interface. display.